Must a company apply the ‘clawback’ provisions of section 73C of the Income Tax Assessment Act 1936 (ITAA 1936) to all or part of the payments received under the Pharmaceutical Industry Investment Program (PIIP)? Yes. The clawback provisions of section 73C of the ITAA 1936 apply to the research and development (R&D) component of PIIP payments received, as the requirements of subsection 73C(2) are satisfied. The taxpayer is an ‘eligible company’, as defined in subsection 73B(1) of the ITAA 1936, and was selected to participate in the PIIP. · meet ‘broad activity commitments’ (including those activities which contribute to eligible PVA and/or eligible R&D activity and targets). Targets in relation to ‘eligible R&D activity’ refer to the agreed value of ‘eligible R&D activity’ to be undertaken by the company and the commitments of the company in relation to ‘eligible R&D activity’ in the relevant year. The taxpayer incurred expenditure on ‘eligible R&D activity’ forming particular projects carried on by it in the relevant income year, and reported this information to the Commonwealth in Quarterly and Annual Monitoring Reports. The definition of ‘eligible R&D activity’ for the purposes of the PIIP is very similar to the definition of ‘research and development activities’ in subsection 73B(1) of the ITAA 1936. As a consequence, expenditure on ‘eligible R&D activity’ incurred by the taxpayer for the purposes of PIIP was also ‘relevant expenditure’ for the purposes of section 73C of the ITAA 1936 in the relevant income year. The taxpayer elected to receive PIIP payments as notional price increases and therefore, payments were directly paid to the taxpayer from the Commonwealth on a quarterly basis. These payments were easily divisible into separate components for R&D and PVA. The taxpayer was not entitled to receive these amounts in any earlier income year than the year those payments were received. 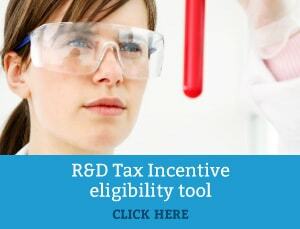 The R&D component of the PIIP was calculated by reference to the actual expenditure on ‘eligible R&D activity’, up to the limit of the company’s ‘annual entitlement’. Subsection 73C(2) of the ITAA 1936 determines whether ‘clawback’ applies, as provided for under the relevant other provisions in section 73C of that Act. The subsection provides that clawback will apply if an ‘eligible company’ that has incurred ‘relevant expenditure’ (on or after 1 July 1985), has received or become entitled to receive a ‘recoupment of, or grant in respect of’ all or part of that relevant expenditure, from certain sources, including the Commonwealth. ‘Relevant expenditure’ refers to expenditure on ‘research and development activities’ that formed or form part of a particular project carried on by or on behalf of the company (paragraph 73C(2)(a) of the ITAA 1936).